The result is Werner Gnigler’s development of an outstanding design which merges the virtues of its predecessors – the Radical Quad’s looseness, reactivity and rail bite and the planing power and speed of the Thruster Quad. Consequently, a name was chosen which says it all – The Ultimate Wave! Riding the Ultimate Wave, you’ll immediately notice how quickly it jumps onto the plane and how much faster it rides. Werner states: “The completely new bottom concept brought the crucial breakthrough in the development.” It features a flat V in the front, which transforms into a double concave in the middle, then into a deep single concave under the foot straps, and tapers off with a gentle V right at the tail. This creates a flatter scoop rocker line in the middle but keeps the curvy one on the rail. The flat centre line delivers the speed and planing power that matches the former Thruster Quad. Have compromises been made regarding wave performance? No! Morgan Noireaux proved the boards are at the top of their game by winning his 3rd Aloha Classic title using a prototype of this new concept. After all, functional features have been transferred from the previous shapes, like the slim tail, the thin rails with a soft tuck line and the winger outline which keeps the planing section rather wide and reduces the tail width at the winger point. Offering ultimate rail bite, the boards turn tight easily, and instantly respond to every little rider input. At all times the radius of the bottom turn can be adjusted to hit the lip spot-on. The quad fin quiver enhances the top wave performance and the 5-fin box setup enables tuning to personal preferences. The all-new shape will stun dedicated wave sailors around the globe. You will feel at home, at every wave spot in any given conditions. The Ultimate Wave carves fast, turns smoothly and maintains speed no matter if on a huge down-the-line wave or a gutless onshore roller. 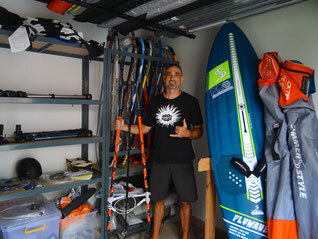 This new board is Jason Polakow’s new Ultimate Wave! The boards additionally come with plugs to cover all fin boxes used without fins. PRO EDITION in S-Glass Technology with PVC Stringers and Innegra Rails. The success of the Wave Slates continues because these compact wave shapes impress by being super agile and reliable at the same time. They are fast, early to plane and super-efficient in generating and maintaining speed, making sessions in mediocre wave conditions very exciting and vivacious! These all-round play machines feature a very wide range of use and are a lot of fun in all kinds of waves. British WINDSURF states that it feels wonderfully adaptable, with the speed for cross-offshore conditions and loose rail-to-rail response for cross on and push in more power and the Slate keeps accelerating, feeling lively and responsive, yet super controlled. The parallel outline is the base of this board concept. It reduces drag and increases lift, resulting in more speed and early planing. Together with the efficient volume distribution, the parallel outline grants stability which is why these boards now can be shorter than previous concepts. The shortness makes tight turns come natural and is the base for feeling small and compact in the air. Thus, the swing weight is centred, speeding up rotations and change of direction. Additionally, shorter boards fit better into steep sections or smaller waves without getting stuck. On the one hand the quite flat rocker along the centre-line supports early planing andoverall performance partnered with a great deal of control. On the other hand, the strong V and narrow outline at the nose and tail create more curve at the rail which takes over once railed up. Consequently, this combination results in a surf board like manoeuvre feeling paired with the performance expected from a modern windsurf board. The narrow nose and a strong V in the bottom with additional rocker in the front keep the shoulders high and dry providing a safe feel during turns and on the wave face and when lining up jumps. Between the footstraps the deep single concave channels and accelerates the water to provide additional lift for early planing and speed. Towards the tail the flat V creates a great water release and in combination with the slim outline enhances the versatility on the wave and the potential to carve super tight. The boards come with a thruster fin setup but the hull is equipped with 2 Mini Tuttle and 3 Slot Boxes to open up all trim options and to suit every rider’s style.